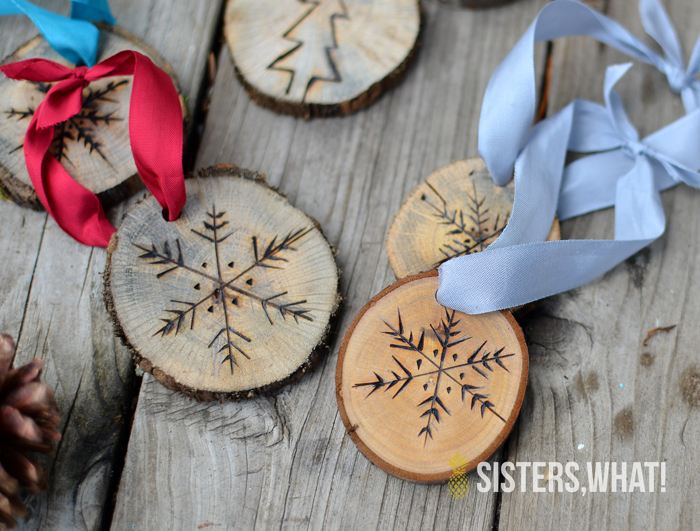 ' Wood burned Wood Sliced Snowflake Ornaments +26 other Christmas Projects - Sisters, What! 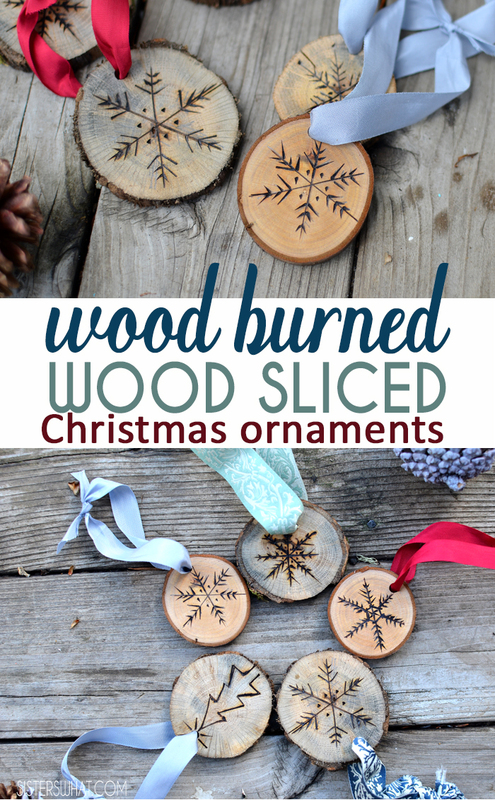 Using a wood burner on wood slices are a fun and cheap way to make cute homemade and one of kind Christmas ornaments. 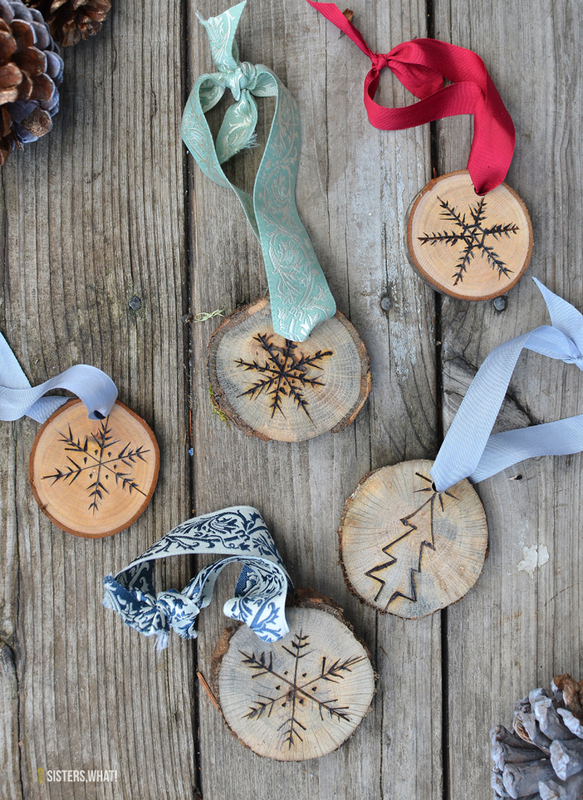 Last year I got a wood burning tool and got together with some friends to make some snowflake wood sliced ornaments. I went at it like it was a regular pen, but once I got the hang of it, it was pretty easy. 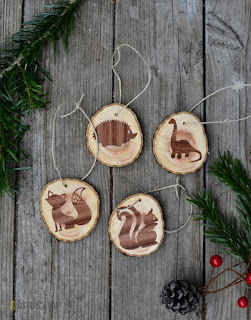 Wood slices are so fun to customize in so many ways like my woodland animal ornaments. 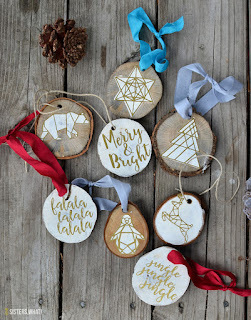 I'm joining in Remodalholic Creative Christmas Challenge with 26+ other bloggers. So make sure you continue down to see more projects. I made my first video to show the process of making these since it's kind of hard to take pictures and show the process. 2. 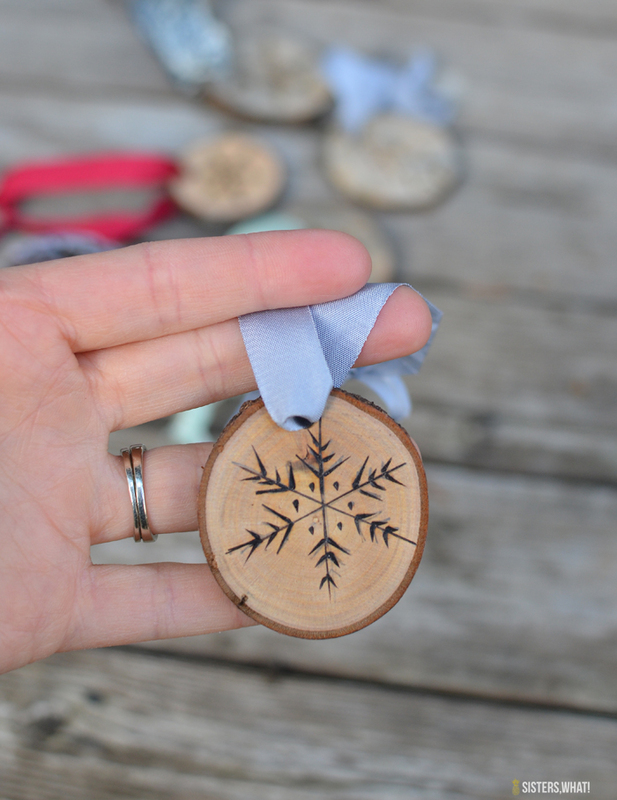 If you're new (like me) to wood burning, practice on an extra piece of wood. Then following your penciled in design, start burning. Remember, these are sliced wood so it's ok if it's not perfect. Supposed to look cute and rustic. 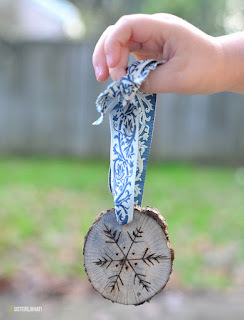 3. drill a hole and add your ribbon! 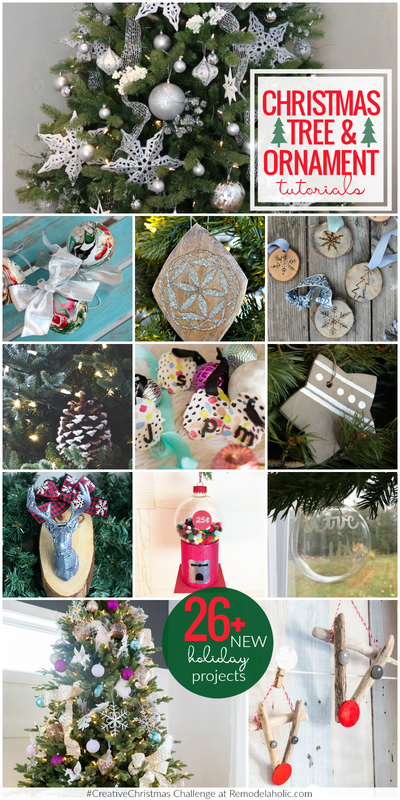 And here are the rest of the Creative Christmas Challenge Projects hosted by Remodalholic: Make sure to also check out the youtube playlist of all the projects.